Soul intelligence is the new paradigm for a conscious entrepreneur. This workshop will show you a way out of your financial crisis or glass ceiling and substantially improve your financial power! You will explore your emotional money wiring which holds you back. You will dive-in your money limiting beliefs and blocks which keep you stuck. You will learn how to transform your early money paradigm which sabotages your actions. You will discover processes such as: Money Map, Hidden Agenda, Financial Traumas, Goal Trauma, and Setting Outrageous Goals! You will open a door to a new relationship with MONEY! Tapping provides freedom from all sorts of unconscious blocks, in relation to money and abundance, at the tip of your fingers! It is based on the assumption that there is a disruption in the body’s energy system. Focused thought, combined with gentle fingertip tapping of key acupuncture points, clears energy block along the body’s meridians and quickly realigns them. Tapping is a gentle but effective healing and energy balancing technique which can easily be learned by everybody. Science is proving more and more that unresolved emotions are major contributors to most physical pains and diseases but also to any relationship issues, including your relationship to MONEY! 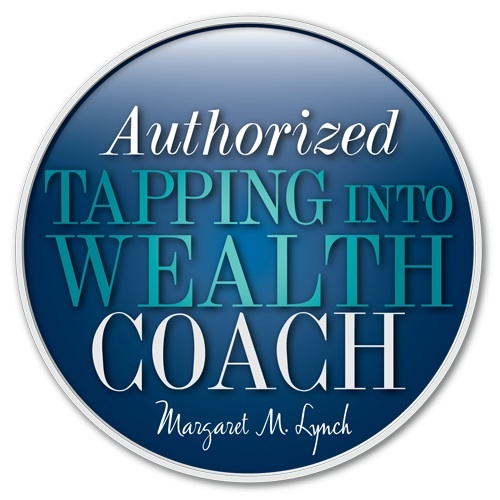 Tapping, while looking for your Early Money Paradigm, can dissolve deep emotional issues and transform your unconscious belief about your right to have money and wealth! Various Tapping processes help create a neurological shift which has impeded you to THRIVE.